If you thought that going to the doctors office was bad, be thankful that the doctor is not a ghoulish figure who devours his patients. 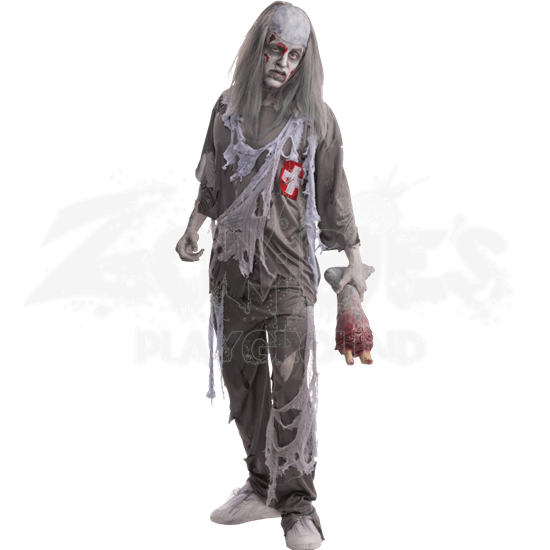 The Zombie Doctor Costume will transform anyone into a flesh-hungry ghoul in tattered scrubs. As odd as it sounds, a zombified doctor is not all that odd a sight during a zombie outbreak. This impressive costume includes a simple ensemble composed of a long-sleeved gray shirt that is tattered and torn, as well as a matched set of pants, also tattered and torn, in order to create a pair of medical scrubs. Sewn onto the pocket is red patch with a white cross. Shredded and tattered gauze is attached to the shirt and the pants. Included with the costume are the shirt and the pants to make a complete set of doctors scrubs. The wig, the zombie leg prop, the shoes, and make-up are not included. 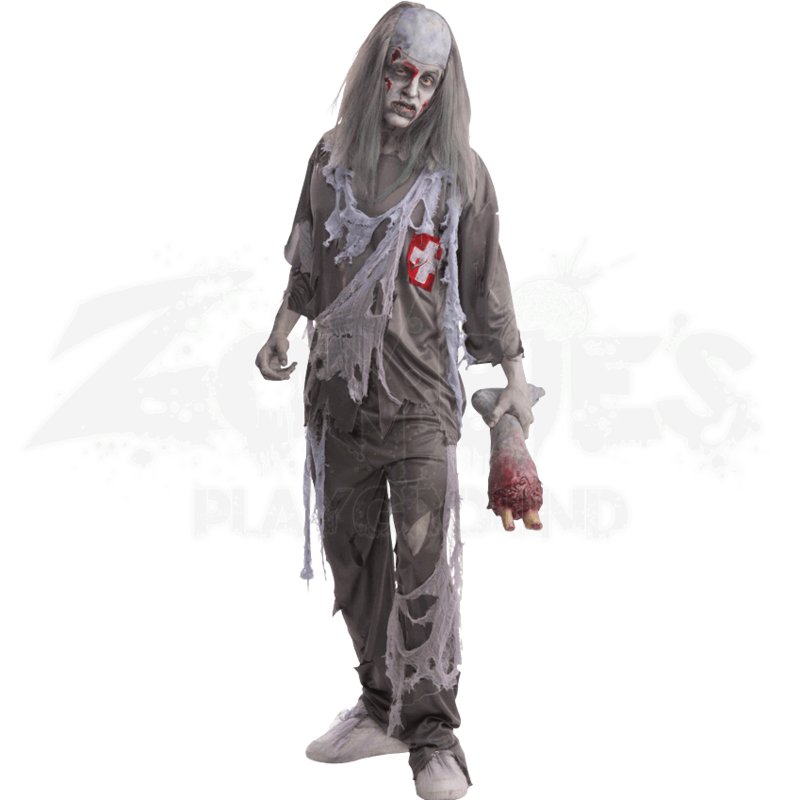 This costume comes in a mens standard size, which fits up to a 42 inch chest. If you ever do encounter a ghoulish creature dressed in the Zombie Doctor Costume, the very last words you will want to hear are, The doctor will see you now.